Karen Pauly, left, with her family, Jamison, Nathan and Autumn. When Karen Pauly began looking for treatment to address her painful uterine fibroids, she needed a care team that could take all her medical concerns into consideration. Karen took her quest to Mayo Clinic, where she received minimally invasive therapy that has dramatically improved her life. it comes to health care interventions, less is more for Karen Pauly. 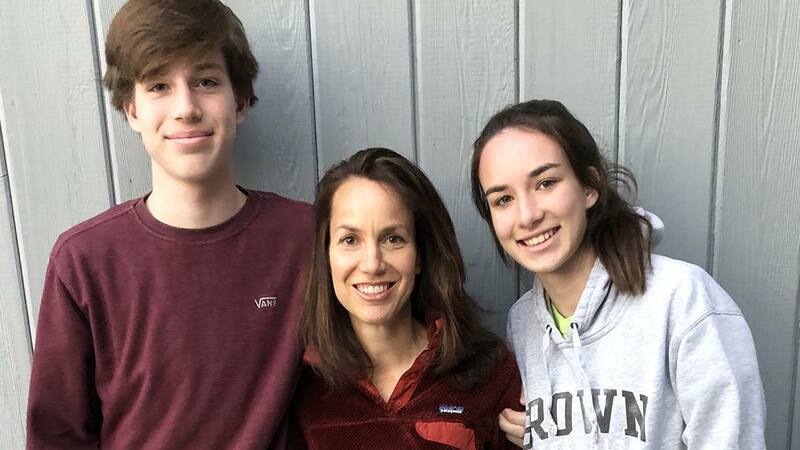 Karen, a school psychologist, wife and mother of two teenagers, lives with a coronary microvascular disease that causes painful spasms of the small vessels around her heart. Because her condition is sensitive to stress and hormone fluctuations, Karen opts for low-impact treatment options to manage other health issues that arise. So when Karen developed symptoms related to uterine fibroids, she set out to find a medical provider who not only understood the complexities of her underlying disease, but also respected her desire for minimally invasive care. The option presented to Karen by Andrew Stockland, M.D., in the Department of Radiology, was uterine artery embolization. Dr. Stockland used the procedure to treat two uterine arteries that were supplying blood to Karen’s fibroids. Within a few months, the bothersome symptoms related to her fibroids were all but gone. developed the small vessel condition in 2014. When an episode hit, it hit hard. At the time, Karen sought help from specialists near home in St. Peter, Minnesota. Finding no answers locally about her unusual symptoms, she turned to Mayo Clinic. At the Women’s Heart Clinic, Karen met cardiologist Joseph Murphy, M.D., who identified the syndrome and recommended treatment options. her menstrual cycle. The duration increased from seven to 10 and then 14 days. pain, increased frequency of urination, or bowel habit changes. issues and complicated a search for medical care. In Mayo Clinic’s Department of Obstetrics and Gynecology, Daniel Breitkopf, M.D., joined Karen’s medical team and offered a variety of potential treatment options. This led to a meeting with Dr. Stockland. approach to our patients, with input from a variety of specialists,” Dr.
were mixed with the dye and slowly injected until blood flow to the fibroids stopped. regardless of whether she has one or many. and nausea that can occur as a result of the procedure. noticed spasms related to her small vessel condition also seemed to get better. Learn more about uterine artery embolization. Check out the Women’s Heart Clinic. Editor’s note: Marked with tattoos and scars from bullet wounds, Sophorn Khoun doesn’t look like the average health care worker. 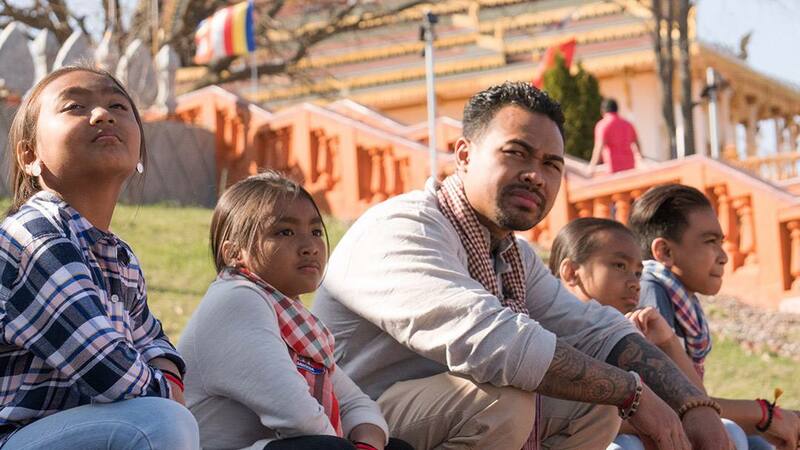 As a child running with a Southeast Asian gang in Salt Lake City’s poorest neighborhoods, he couldn’t fathom that one day he’d be working to heal others. But when Sophorn was 20, he extricated himself from gang life and built a new one for himself in Rochester, Minnesota. In 2014, he was given an opportunity to pursue a path toward helping people when he received a position at Mayo Clinic. The job introduced him to individuals, ideas and opportunities that didn’t exist in his previous life. In December 2018, Sophorn’s hope to help people heal took another step forward when he received his advanced nursing assistant certificate from Rochester Community and Technical College through the Bridges to Healthcare Program. The program is a collaboration among Mayo Clinic, Rochester Community and Technical College, Workforce Development and Hawthorne Education Center. In this story, Sophorn shares how he left the gang life to pursue a career in health care. I grew up during the 1990s and lived in the projects of the inner city of West Valley City, Utah. Our neighbors were other Cambodians, Vietnamese and Laotians who’d migrated after wars. I was exposed to gangs growing up. At that moment, it was cool. But more than that, I was more inspired by the love, loyalty and unity within the neighborhood. We had so much love and loyalty and didn’t know how to project it in the most efficient way. We integrated it into street philosophy. We had no guidance, like a serpent with no head. Gangs really didn’t guide me in the right direction. I was young, and it is nothing to be proud of. When I was 16, on Sept. 11, 2000, I got shot four times during a gang shootout at a nearby pool hall. I lost a lot of blood. I broke a rib and, fortunately, it didn’t puncture my lung. I got one in the neck. It was a skid. The one in the arm went right through. The one in my leg — luckily my wallet was there — hit the wallet and barely nicked me. I was in the hospital for two to three weeks. Shootouts and shootings weren’t new to me. Every day where I lived, I witnessed it. Drug dealing, prostitution, the gang life, the shooting and the domestic violence in the neighborhood — I saw all of that. I was in jail for 18 months, and when I came out, I started to see friends and cousins disappearing. They were either dead or in jail. I talked to my dad and said, “I can’t do this.” I couldn’t be around that type of energy anymore. I needed find my way out. When I first came here, the city was small. It wasn’t like the inner city. I found it very quiet and mellow. I could find peace. I didn’t have to worry about anybody trying to kill me. I really wanted to start my life here. I’d dropped out of high school when I was 18. But when I moved here, I didn’t think of continuing school. I worked 9 to 5. I was very comfortable. I didn’t see myself going back to school. I thought it was too late. But later on, I had kids. I bought a home and had a family, and started to see bigger things in life. I saw that I could still make a difference. I sensed the opportunity was there for me. Now all I had to do was make that move. So I wrote it down and followed through. At the end of the day, my motivation was my children. I do this for them. In Utah, I didn’t know you could leave the neighborhood. I didn’t know you could go skiing. I didn’t know about Zion Canyon or anything outside the neighborhood. No one was talking about college or high-paying jobs. It was just bandanas, guns and gangs. That was the life I wanted. The lack of options we endured had us feeling caged and very limited from the outside. Mayo Clinic really gave me a chance. It opened many doors for me. I hadn’t wanted to be a nurse or anything in the Nursing Department. I just wanted to do what I did. But in the hospital setting, lives were being saved. That’s what I wanted to do. I’m not God, but the least I can do is take care of a patient. When I started at Mayo, there was a nurse on my floor. She always said hi and always would talk to me. She would listen unconditionally. She was so sweet. She didn’t discriminate and wasn’t afraid of me because of my tattoos. I’ve seen that a lot. People would walk away from me when I got into the elevator or hold onto their purses. I am a human being. I don’t bite. But she accepted me, and there was that respect and love. I was seeking self-growth and my first step started with the man in the mirror. Two years ago, as I was going through classes and work and everything, I found a spiritual practice and started meditating. That has been so beneficial in my daily life and helping me in being a better person. I integrate meditation into my daily life and believe it’s gotten me through many barriers and helped connect me with my inner self. It’s helping me find compassion for myself and others, and has really given me a new perspective on life. One day, I hope to be an inspirational/motivational speaker. I was offered the opportunity to speak in a psychology class. I was humbly grateful for the opportunity to impact another individual with my experience. Perhaps they may reconsider their path. I believe everyone has a purpose in life, and I believe this is mine. I really want to help youth to step away from the streets — to tell them there is so much potential, to not throw your life away on the street life. You can start right here, right now. You can start giving back, and that’s what I want to do. All of the time I was taking from society, I just want to give back. Just like the lotus flower, which symbolizes rising from the dark place as in a rebirth, we also are capable of rising from the mud and blooming out of the darkness. No mud, no lotus. Be the lotus. Mark Guthrie knows how to build a winning team. 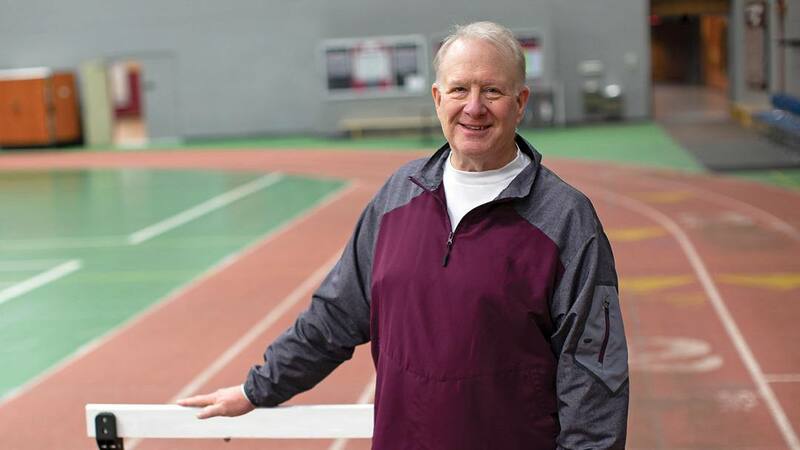 The longtime collegiate track and field coach has helped guide dozens of teams to divisional and national titles. He’s earned a few titles himself along the way, too, including being named Division III National Coach of the Year eight times. Even so, Mark scheduled a stress test to check how his heart worked during physical activity. “I failed after six minutes,” he says. That led to another test: a coronary angiogram, which uses X-rays to check the flow of blood in heart vessels. The test revealed he had coronary artery disease. “Two of my arteries had 80 percent blockage, and two had 40 percent blockage,” Mark says, a fact he attributes to his less-than-heart-healthy diet. “I’d had blood work done with my physical, and my blood sugar was around 400, and my A1C was around 12. I was pretty proud. Those were big numbers,” Mark jokes. Because open-heart surgery isn’t performed in La Crosse, Mark had another decision to make: where to have the procedure done. Dr. Tak suggested Robert Wiechmann, M.D., a cardiovascular surgeon at Mayo Clinic Health System in Eau Claire, Wisconsin. A meeting with Dr. Wiechmann sealed the deal. During the operation, Dr. Wiechmann and his team used arteries from Mark’s chest wall and arm to create bypasses around the blocked arteries in his heart. The procedure was completed without ever stopping Mark’s heart — a process known as off-pump bypass. It lowers the risks associated with bypass surgery, including stroke, infection and memory problems after surgery. Only 5 percent of hospitals in the U.S. offer off-pump bypass, but it’s used in 98 percent of the procedures at Mayo Clinic Health System in Eau Claire. He’s also feeling grateful for the team that helped heal his heart, ensuring that he was able to get to know a new member of his home team. “I got to meet my newborn grandson, who I would possibly have never met without the great care I received,” Mark says. 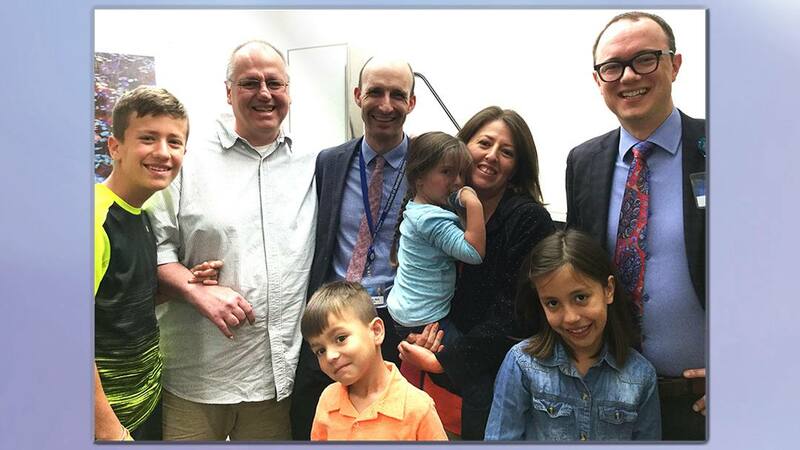 Johann Lochner, second from left, with his family – Andre, left, Ethan, Ellie, Stephanie and Annalize Lochner – and Mayo physicians Terence Burns, M.D., Ph.D., center, and Michael Ruff, M.D. As a pastor, Johann Lochner believes his life’s journey is guided by a higher power. Nowhere was that knowledge made clearer for Johann than at Mayo Clinic, where he encountered a team of physicians whose care and surgical talents in removing an insidious brain tumor gave him his life back. When Johann Lochner boarded a plane bound for his native South Africa to visit a relative who had cancer, he knew he’d be spending time in medical facilities. What the 51-year-old pastor never imagined was that he would be the one requiring care. Days after landing in South Africa in April 2017, Johann was admitted to the hospital when he began to have problems moving the right side of his body. An MRI showed a mass on the left side of his brain. His South African surgeon diagnosed it as a rare tumor known as PXA, or pleomorphic xanthoastrocytoma. And the situation only got worse. After a communication breakdown with his care team, Johann was unable to receive treatment for his condition. His wife, Stephanie, was desperate. Then, in early June, Stephanie made a call to the one place she believed could help her husband: Mayo Clinic. Stephanie’s call made its way to the Brain Tumor Program at Mayo Clinic’s Rochester campus. And it jump-started a whirlwind trip that brought the Lochners back to America, where Johann met a Mayo medical team ready to treat him. Soon after Johann arrived at Mayo Clinic, a 12-member surgical team led by neurosurgeon Terence Burns, M.D., Ph.D., performed precision awake brain surgery to remove Johann’s tumor. When the Lochners met Dr. Burns, he told them he hoped that the diagnosis of PXA was correct, but he was concerned that the rate of growth could suggest a more ominous cancer. Dr. Burns recommended Johann have a functional MRI, with special sequences to see the brain fiber tracts. That would allow the surgical team to better assess how the tumor was affecting his brain. What the test revealed helped explain Johann’s symptoms. The functional MRI also showed that the tumor was not only pushing on Johann’s brain fibers, but it had infiltrated them, which substantially increased the risks of surgery. After the scan, the Lochners met with Dr. Burns. They were hoping to find out if, after the surgery, Johann would recover his ability to move freely. The answer was difficult to hear. During the approximately six-hour operation, portions of which Johann was conscious and responsive, Dr. Burns used electrical stimulation to map critical areas of Johann’s brain and used Johann’s responses to help guide him. The combination of Johann’s input in the operating room and the space the tumor had created between fibers controlling arm and leg movement allowed for removal of most of the mass. “With his help, we were able to safely remove quite a lot more than initially anticipated,” Dr. Burns says. The expectation was that Johann wouldn’t be able to move his right side for several weeks after surgery. That’s not how it turned out. The next day, Johann was standing. Within a few days, he was discharged from the hospital. He and Stephanie were driven by friends from Minnesota to their home in Aledo, Texas. After Johann’s surgery, the pathology report for his tumor came back and confirmed Dr. Burn’s initial suspicion. Johann’s tumor was not PXA, but anaplastic astrocytoma. Molecular testing showed the tumor had the characteristics of a stage 4 glioblastoma, with an unusually high number of genetic mutations. Back home, Johann’s team of neuro-oncologists concurred that the tumor was a glioblastoma. To target the remaining tumor tissue in his brain, Johann was started on chemotherapy and radiation. A few months later, Johann received another shocking diagnosis. He had stage 3 colon cancer. Johann underwent surgery in Texas to remove the cancer from his colon. In February 2018, Johann learned his cancer has spread. A month after that, he received a third diagnosis: skin cancer. The combination of his cancers led a research team to diagnose him with Lynch syndrome, an inherited syndrome associated with developing different types of cancer. That diagnosis led to immunotherapy — a treatment Johann had first discussed with neurologist Michael Ruff, M.D., during his time at Mayo Clinic. The reason immunotherapy is effective against Johann’s cancer is because of its bizarre genetic makeup, explains Dr. Ruff. While typical glioblastomas have 70 or fewer driver mutations, Johann’s likely has thousands of mutations. As a result of the treatment, all of Johann’s tumors, including his brain tumor, are either stable or decreasing in size. “We know God has been opening and closing doors, and facilitating every single step we take,” Stephanie says. “He put his hand up and pointed toward the sky and said: ‘I had some help. I think God has more work planned for you,'” Stephanie recalls. Learn more about awake brain surgery. Tara found a new primary care doctor in summer 2017 who did a full body CT scan and referred her to another neurologist who ordered several blood tests. The results revealed a rare disorder: stiff-person syndrome. 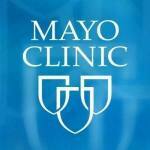 Tara’s primary care doctor recommended she consider going to Mayo Clinic. “Dr. Zier has a more limited type of the disorder affecting her neck and back, where she experiences a lot of spasms which cause her a great deal of pain and trouble breathing,” Dr. McKeon says. Prior to her first consult with Dr. McKeon in December 2017, Tara underwent six days of immunotherapy infusions recommended by her local neurologist. Unfortunately, the therapy didn’t relieve her pain, and it made her feel worse. 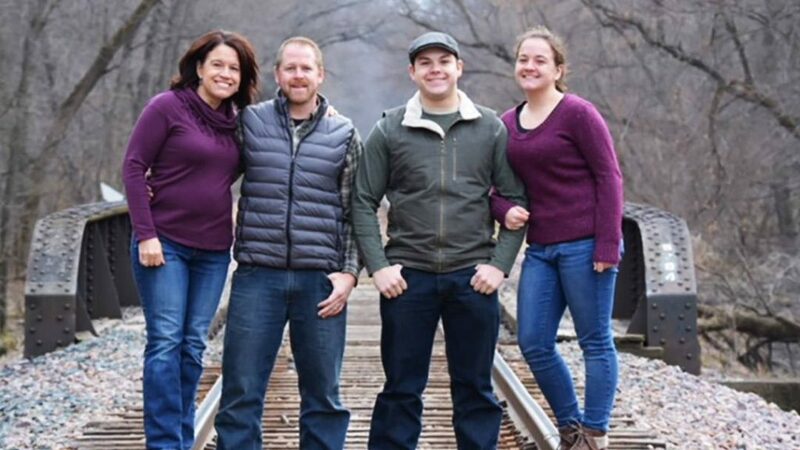 On Dec. 10, Tara was transported to Mayo Clinic’s Rochester campus by air ambulance. “I hadn’t been driving in months and wasn’t well enough to fly commercially, so this was the safest way to travel,” she says. 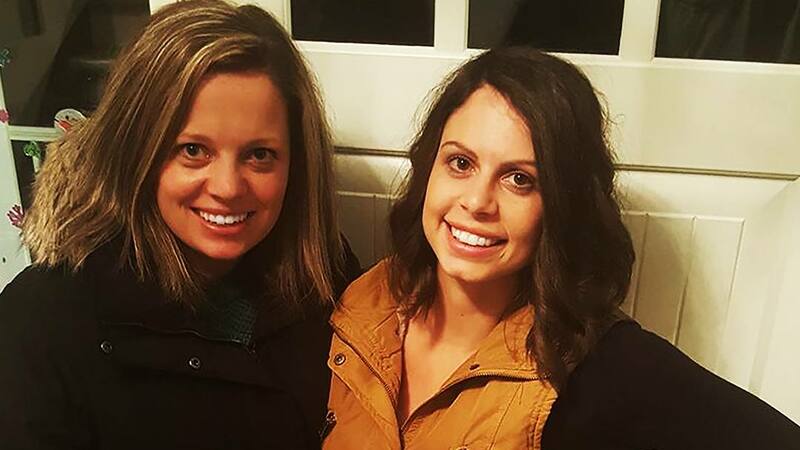 In an effort to help Tara live a full life despite her pain, Dr. McKeon referred her to Mayo Clinic’s Pain Rehabilitation Center. After she successfully completed the three-week program, Tara returned to the center’s six-month aftercare program in December 2018. She plans to come back to Rochester for the one-day class every six months. Daily life for Tara is easier now, and she’s been able to start driving again. She’s also working to manage her health by exploring holistic therapies that include a restricted diet and light therapy. As she reflects on what she’s been through, Tara says one of the most significant lessons she’s learned is the importance of taking control of your own health. “If something is not right, and you’re not getting better, you need to keep going to other doctors until you get the answers you need,” she says. Learn more about Mayo Clinic’s Pain Rehabilitation Center. I grew up in fear of breast cancer because my mom’s only sister was diagnosed with breast cancer in her 30s and struggled with it for 12 years. We would have family events, and she would be sick, bald and miserable. Years later, I graduated with a bachelor’s in sports management from Minnesota State University, Mankato. While I enjoyed it, I knew there was something more I was called to do. During this time, I read an article about a girl with Ashkenazi Jewish ancestry who had a BRCA mutation that increased her risk of breast cancer. My mom encouraged me to bring the article to my doctor given our Jewish ancestry and the fact that there were family members on both sides of my family who had breast cancer. My physician was in support of me being tested for the BRCA mutation, but I thought I’d be best suited to see a genetics counselor to review my risk. At this point, I didn’t know which parent passed it down, and I was scared for them and my sister. My mom and sister were tested and found out that they had the BRCA2 mutation, as well. I scheduled a prophylactic bilateral mastectomy for a month later. Having a mastectomy has decreased my risk of breast cancer. I am at less risk than the average female. Now I work side by side with genetic counselors as a nurse in predictive genomics in the Center for Individualized Medicine. We offer a unique service to executive health patients who want to know more about their genetic risks, including cancer and cardiovascular issues. We are working on developing education materials for men with BRCA because we want others to know it’s not just women who have a BRCA mutation. It can affect males and females, and cause breast, ovarian, pancreatic, melanoma and prostate cancer. I also volunteer for Facing Our Risk of Cancer Empowered as a peer-to-peer navigator, providing resources to those who have an increased genetic risk for cancers. The organization is a nonprofit devoted to those with hereditary breast and ovarian cancer. I also run a support group once a month at Mayo Clinic’s Dan Abraham Healthy Living Center for those with hereditary cancers. Right now, I am pursuing my master’s in nursing education and feel I am right where I’m supposed to be. I am helping educate and empower people. Read about Mayo Clinic’s Familial Cancer Program. Bill Hoffman, a retired neurosurgeon, never considered himself very artistic, and he didn’t think much of painting. But last fall, while Bill was recovering from a serious medical complication following surgery that left him a shell of his former self, it was painting and recreation therapy that opened the door for him to return to normal. Artmaking at Mayo Clinic’s Arizona campus gave Bill and Mariann, his wife of 54 years, time to escape the physical, mental and emotional stress that accompanied Bill’s prolonged hospital stay. The art sessions are a collaboration between the Recreational Therapy Program in Mayo’s Department of Physical Medicine and Rehabilitation, and the Center for Humanities in Medicine, which works with professional artists to facilitate programming. Phoenix-area artist Richard Retter has been with the program since it began in 2014. 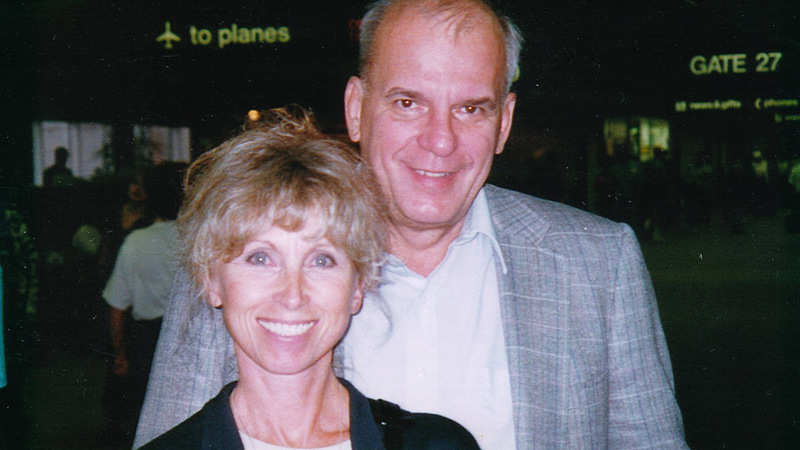 For a time, fun and enjoyment seemed impossible for Bill and Mariann. After surgery for bladder cancer in October 2018, Bill experienced a myasthenic crisis that triggered extreme muscle weakness and fatigue. As a result, Bill lost his ability to walk, eat and talk. Fighting the effects of his condition was a daunting task. But with consistent support and encouragement from Mariann and the couple’s four adult children, in addition to the comprehensive care provided by his Mayo Clinic medical team, Bill pulled through. Bill spent three weeks in the ICU — two of which he cannot remember — before he was transferred to the hospital’s Inpatient Rehabilitation Unit. When he arrived, Bill was so weak he could barely turn over in bed. In addition to the serious physical effects he experienced, Bill’s medical situation took a heavy toll on his emotional health. “I was really bummed about everything,” he says. To help him recover, Bill participated in physical, occupational and recreational therapy during his four-week stay in the rehabilitation unit. The physical and occupational therapy programs focus on helping patients regain strength and function. Recreational therapy compliments those efforts and centers on the psycho-social elements of recovery. For Bill, who initially lacked interest in socializing with other patients, the art sessions connected him to the community without forcing him to leave his comfort zone, Mariann says. The artist-in-residence hoped to help Bill make more personal connections like that. Noticing Bill’s hesitation to socialize with his peers, Retter approached Mariann after class one day and asked how he might be able to connect with Bill. This type of oversight and engagement is a purposeful part of the program. While patients participate in recreational therapy, the therapists watch and advise. As Bill’s recreation therapist, Graziano says that it was exciting to watch Bill and Mariann embrace the art program. “They brought in family members. They were able to do it as a family therapy project, and they all had pieces to take with them,” she says. Bill was discharged from the Inpatient Rehabilitation Unit in late November 2018, and he continues to receive outpatient physical therapy twice a week. Although Bill cannot remember all of the time he was in the hospital, the hours spent making art are ones he and Mariann have come to treasure. Both Bill and Mariann brought home the canvases they painted during the art sessions. Read more about the Department of Physical Medicine and Rehabilitation. Learn about the Center for Humanities in Medicine on Mayo Clinic Connect. Explore Mayo Clinic’s Arizona campus. Erwin Strassman, M.D. with his father, Paul Strassmann, M.D. Given in gratitude for the consideration and compassion that the Mayo family showed to the Strassmann family in the late 1930s, a pivotal 16th century anatomy text now housed at Mayo Clinic is a testament to the enduring connection of friendship. The W. Bruce Fye History of Medicine Library at Mayo Clinic’s Rochester campus holds many treasures from far-flung times and places. 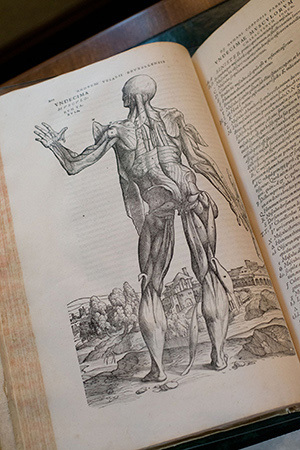 One volume, an influential 16th century book on human anatomy by physician Andreas Vesalius, marked a turning point in the history of medicine. But the book has other tales to tell, too. One of its stories revolves around how the iconic text came to be at Mayo Clinic. In the early 1900s, the Mayo brothers made dozens of international trips to seek out best practices and share information. Their itinerary included Germany, a center of medical innovation. While in Berlin, they befriended the Strassmann family, who had established a highly regarded clinic that specialized in women’s health. Paul Strassmann, M.D., who founded the clinic, sent his son, Erwin Strassmann, M.D., to study at Mayo Clinic. Friendships and collaborations flourished between the Strassmanns and the Mayos. But conditions in Germany changed rapidly when Adolph Hitler came to power. The Strassmanns were of Jewish descent and found themselves engulfed in persecution. Dr. Paul Strassmann was forced to sell the clinic. He died soon after, mourning the life he loved. Dr. Erwin Strassmann could not imagine life under the Nazis and decided to emigrate. At that time, bureaucratic red tape made it difficult to enter the U.S. Under mounting pressure, Dr. Erwin Strassmann reached out to friends at Mayo Clinic. Ultimately, William J. Mayo, M.D., made it possible for Dr. Erwin Strassmann to study at Mayo in 1938. This meant he could bring his wife, Ilse Strassman, and their three children to Rochester. Dr. Mayo called this opportunity “breathing space” while the Strassmanns settled in America. The Strassmanns said it saved their lives. Their relatives and friends who remained in Europe experienced hardship and death during World War II and the Holocaust. 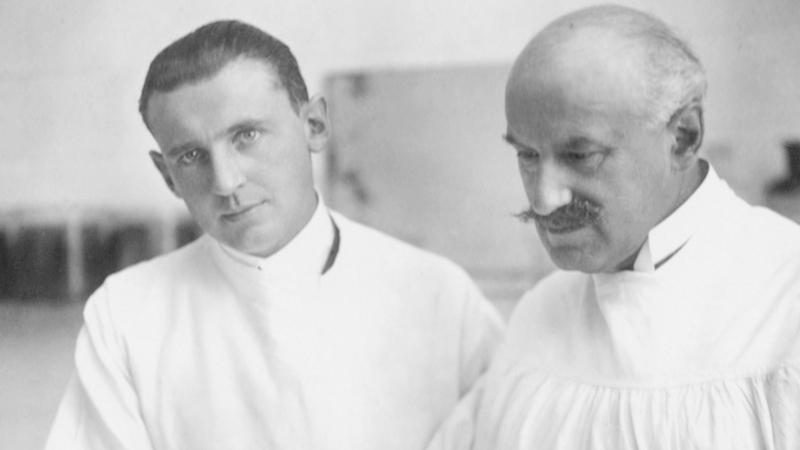 The story of that gift and the Strassmanns’ connection to Mayo Clinic is the subject of the Mayo Clinic Heritage Film, “Breathing Space: One Family’s Journey From Nazi Germany to Mayo Clinic,” which premiered in June 2018. The film about the Strassmann-Mayo friendship is part of an award-winning series made possible by benefactors John and Lillian Mathews. While the film was in production, the Mayo Clinic Alumni Association announced plans to hold its first meeting in Berlin — 80 years after Dr. Mayo helped the Strassmanns amid the gathering storm of World War II. Read more about Mayo Clinic history and heritage.